Which means every color that just makes winters so mesmerizing and unique will be included. 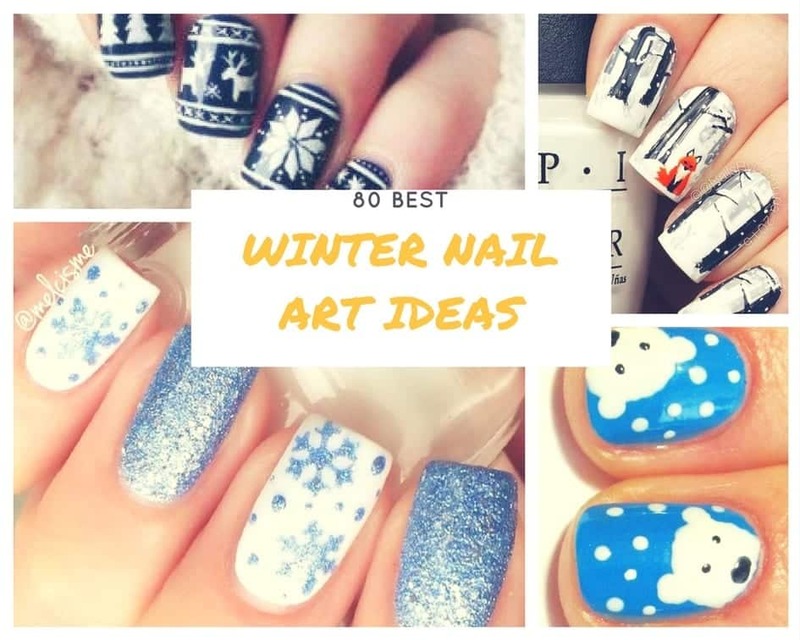 And not just that, but also has everything we love doing in winters; like playing in the snow, snow art/man, christmas and how much we adore snowflakes – will be right here on your very nails. So why wait? Try on all of these and make your winter nails exactly how you plan to be spending your winters this year. 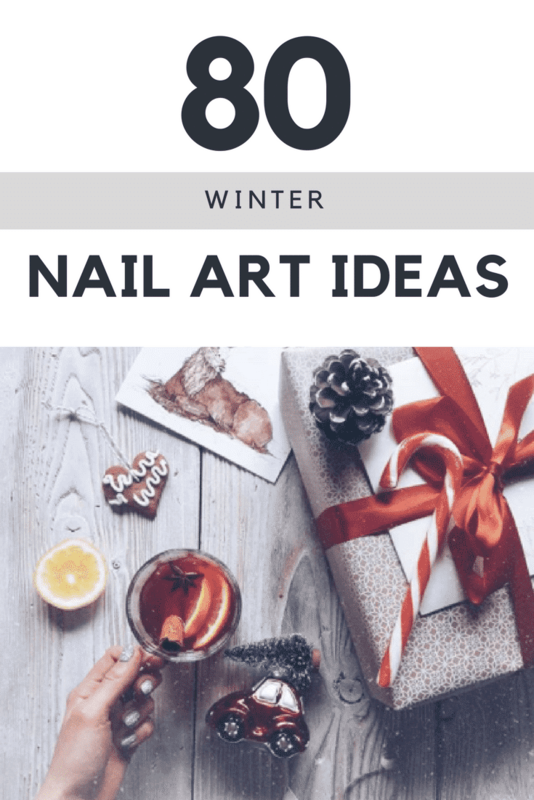 There are lots of things that make winter nail art different from that of Summer or other seasons. For instance, the colours that look good in Winters are more bold and not very bright. For instance, we usually avoid yellow in Winter nail arts. Some of the most popular nail colours for this season include shades of maroon, burgundy, shades of grey and blues. Red, white and blue are classic colours that are used for Christmas themed nail art. Ultraviolet has been declared as the Pantone color of the year, so why not bring it to use on your beautiful hands? Don’t miss out these 26 Ways to Wear a Scarf this Winter. If you love winters and snow then this is the best nail art idea for you. The pastel colours chosen here work really well with almost any skin tone and of course they look really pleasant in the dull and cold winter days. Do pair these nails with one of our Raniy Day Outfits Ideas, for the perfect winter combination. There are many nail art tools such as stamping kits which make nail art possible for anyone while they are sitting at home. So no need to waste your money on getting acrylic nails anymore. Simply use these tools to create the most amazing designs yourself! All you need for this nail art is a dotting tool. Don’t have one? No worries! Simply use a hairpin/bobby pin to create the dots or you can even use a toothpick. Who doesn’t love the adorable Olaf from the movie Frozen? Bring him back to life with these olaf themed nails. Follow this simple tutorial to create this cute peek-a-boo reindeer. Here are 60 Beautiful White Nail Art Designs and Ideas to Try Now. Don’t miss out these 25 Most Awesome Mirror and Metallic Nail Art Ideas. Here’s How to do Metallic Nail art with a DIY metallic Nail Tutorial. MAC nail polishes are a bit heavy on the wallet as compared to other low-end options but they are surely worth the money. Their shine sets them apart and they can stay fresh for years, unlike the cheaper nail polishes which start getting thick and dry after just a few uses. One of our favorite nail colors this year have been by a relatively unknown brand named Zoya. They produce natural nail polishes that are very long lasting and they come in a huge range of colours and hundreds of them are the winter colours that you would want in your collection. A sweet and pleasant colour combination for the season. These colours work together really well in not just outfits but also on your fingers. Ombre nail art looks absolutely majestic and yet you won’t believe how easy it is to do on your own. All you need are two of your favourite nail colours and a piece of sponge. You can use the sponge to create the ombre effect by blending the two colours together with it. It’s pretty much the same concept as applying eyeshadow so all you need is a little practice and you’ll master this awesome technique in no time. Here’s a simple tutorial to help you start off your first ombre project.